I fixed these problems and it changed my life. Let me know if this sounds familiar: you’re going about your day when you see someone with perfectly flawless foundation. Theirs looks like a sheet of velvet, blending seamlessly with their neck and looking oh-so flawless, while you’ve only been out for two hours and your foundation is already an uneven, cake-y disaster. 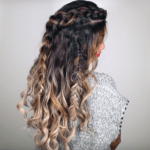 You can blot and powder all you want, but you never seem to achieve that perfect look. Up until recently, I was experiencing this exact problem. Thanks to an educational trip to Sephora and a whole lot of Internet research, I found out what I was doing wrong. 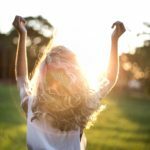 While I was complaining about how “my skin hates me,” my skin wasn’t actually being uncooperative – I just wasn’t following five easy foundation rules. I’m here to announce that I have been shown the way, and I can’t wait to share my findings with you. 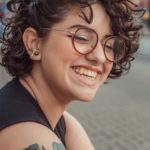 Read on for flawless skin and a consequentially happier life: here are the five foundation mistakes you probably didn’t know you were making. 1. Wearing the wrong type of foundation for your skin type. 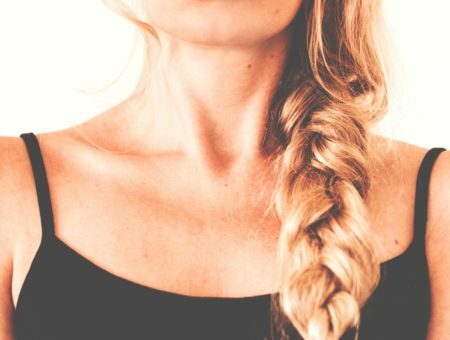 If your skin starts to look dull and red after a few hours of wearing foundation, it might not be your fault – you might just be wearing the wrong type of foundation! I’m not talking about the brand or the color here, I’m talking about the finish – many foundations come in either a matte finish or a dewy, luminous one. If you have dry skin, wearing matte foundation can make your skin look dull and drab after a couple of hours, while luminous foundation on oily skin will only increase the shine. So figure out whether you have dry, oily, normal, or combination skin (ask a Sephora rep if you’re unsure! ), then shop accordingly. Also be sure to watch out for misnomers! For example, NARS All-Day Luminous Weightless Foundation is actually a matte finish, not a dewy one. 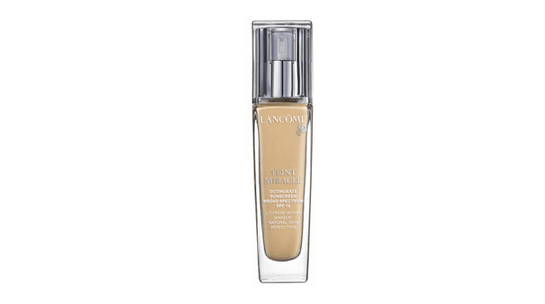 For dry skin, my favorite foundation recommendation is Lancome Teint Miracle Radiant Foundation. 2. Not exfoliating enough beforehand. If you start to develop weird, bumpy, uneven layers of texture on your foundation during your day, don’t worry – there’s nothing wrong with your face. This problem is caused by the buildup of dead skin cells, and it happens to absolutely everyone. There’s an easy fix – exfoliation! There are tons of options in terms of frequency: I like daily exfoliating products because they are easy to work into my daily routine. Daily exfoliants also tend to be gentler on the skin than once-weekly ones. Just beware the signs of over-exfoliation and dial it back if needed! 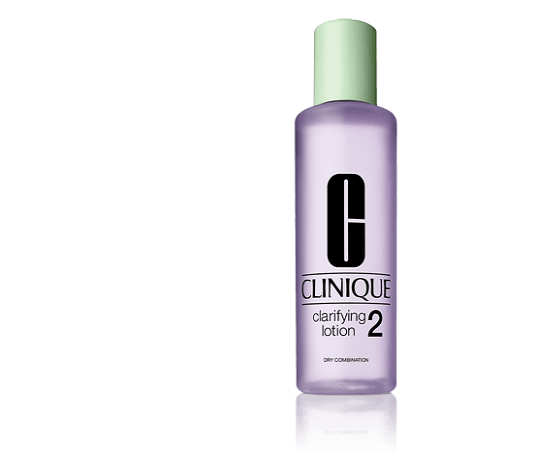 My favorite exfoliator is Clinique Clarifying Lotion – it’s a soft, gentle formula that rubs on with a cotton ball as a cream, and can be used twice a day. My skin began to look smoother after just one day of usage! The version above is for dry combination skin, so make sure you get one that corresponds to your skin type. I know, I know, I totally get it. I used to hate using primer, because it’s just one other thing to buy, and they’re so expensive, and do you honestly even really need one anyway? The answer is YES. Not only does primer ensure that your makeup is going to stay on as long as you need it, it’s also good for your skin. A primer can minimize pores, add sun protection, or get rid of oil, depending on which type you buy. If the price is scaring you, just remember that a little goes a long way! 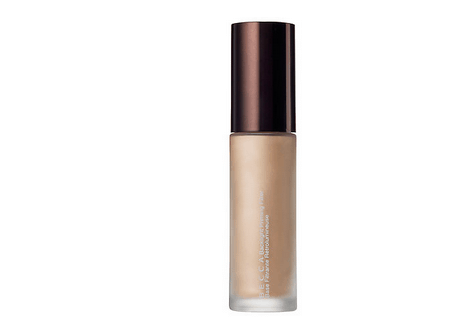 The best primer I’ve used is Becca Backlight Priming Filter. 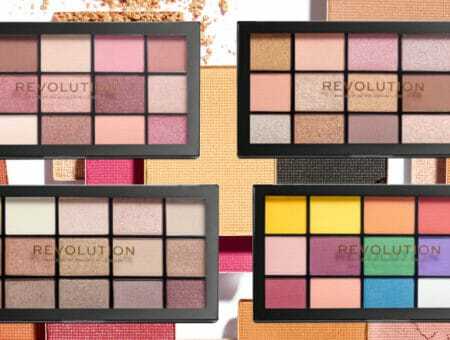 It lasts forever, has a tinted undertone that offers coverage if your makeup starts to rub off, and it gives your face a photo-ready, airbrushed, glow-y look. Yes! 4. Not cleaning your brushes. I bet you already knew this one. It’s just so easy to forget! If you don’t clean your brushes, you’re painting your face with the same makeup you’ve been caking onto the brush in one bacteria-infested layer after another for years. So gross. Do your skin a favor, and just clean them. There are many ways to clean your makeup brushes. 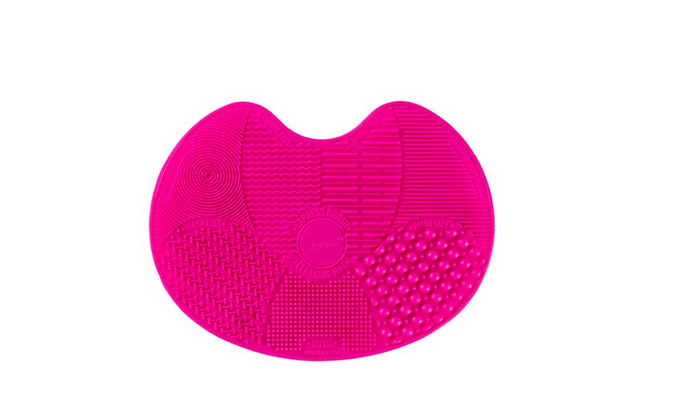 I use a silicon cleaning pad, pictured above. All you have to do is squirt your cleaning product onto the textured pad, then swirl your brush around until it is nice and clean. Don’t forget to rinse and to dry gently with a hair dryer. The general consensus for how often you should clean your brushes seems to be around 4-6 weeks, but more often, if you can, is generally best. If you think that just because you’re wearing foundation means that the sun won’t be able to stab its obnoxious, skin-killing rays into your pores, you are incorrect. Unless you’re wearing a foundation or primer that has SPF in it, and in an amount large enough to get the protection, your skin is in danger! I recommend using a foundation primer with SPF over your favorite sunscreen. That way, you don’t have to risk sacrificing that foundation that matches your skin tone just because it doesn’t offer SPF protection. In fact, you can get a foundation without SPF and not worry at all. 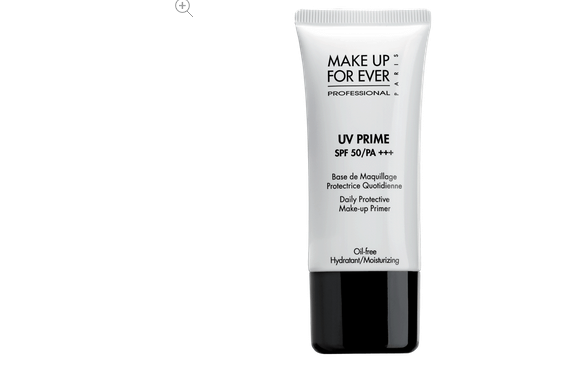 I recommend Make Up For Ever Daily Protective Primer because it offers an SPF of 50 as opposed to most other brands’ SPF 15 offering. Just remember that you need to use a lot, or even better, wear it over a good layer of sunblock for max protection. What are your favorite can’t-live-without face makeup products? 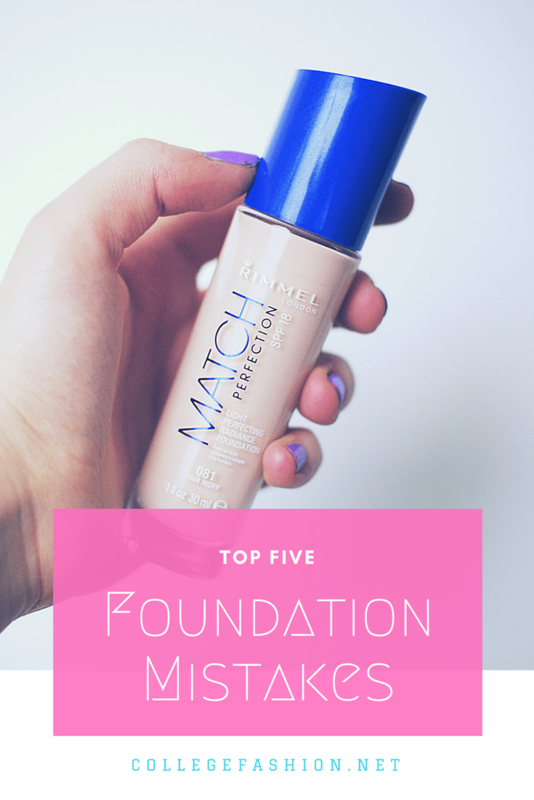 How many of these foundation mistakes were you making? Let me know in the comments! Previous Is This The Best Foundation Ever? I Say Yes.